The Lactobacillus casei group includes three phylogenetically and phenotypically related species (Lactobacillus casei, L. paracasei and L. rhamnosus) that are involved in different food and human health-based applications. The species of L. casei group, in fact, have a wide ecological distribution and are, generally, associated with nutrient-rich habitats, including human, animal, plant and foodstuff niches. L. casei, L. paracasei and L. rhamnosus are the dominant (indigenous or adjunct) non-starter lactic acid bacteria (NSLAB) in ripened cheeses, and their metabolism may promote cheese quality and sensory properties. More-over, several strains with health-promoting features (i.e. prevention of gastro-intestinal inflammations, infec-tions by pathogenic bacteria, rotavirus or antibiotic-associated diarrhoea, allergies and atopic inflammations in children) have been characterised and exploited as probiotics for the production of functional foods, dietary supplements and pharmaceutical preparations. The taxonomy of the L. casei group has been debated for a long time and, although formally clarified, many authors have addressed the identification and genotypic characterization of strains belonging to the species L. casei, L. paracasei and L. rhamnosus suggesting that present species circumscription could be modified in the future. Furthermore, recent comparative genomic and evolutionary studies have demonstrated that others Lactobacillus species, namely L. manihotivorans, L. nasuensis and L. camelliae, and, to a lesser extent, L. sanivi-ri, L. brantae, L. thailandensis, L. pantheris and L. sharpeae, have high phylogenetic relationships with those of L. casei sensu stricto group, suggesting a greater heterogeneity within the group. Comparative genomic analyses, moreover, highlighted that the horizontal gene transfer (HGT) events oc-curred in the genomes of L. casei group may have contributed to the ecological niche adaptation and competi-tiveness of strains. However, the presence of genes or gene clusters not always reflects their functionality and a large metabolic diversity may occur within the strains of the same species. Additionally, during their use as starter, adjunctive and/or probiotic cultures, the members of L. casei group suffer physical and chemical stresses (low pH in food fermentations or GIT transit, high and low temperatures in technological processes and storage, low aw in foods, oxidative stress, starvation, competition with other species) that can affect cell viability and fermentation capabilities, impairing technological and functional fitness of the strains. 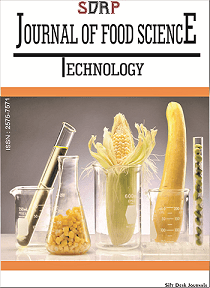 The aim of this Research Topic is to publish original research papers and reviews that may provide new information on the physiological, metabolic and genomic diversity of L. casei group and highlight potential applications in food industry and health-related fields.